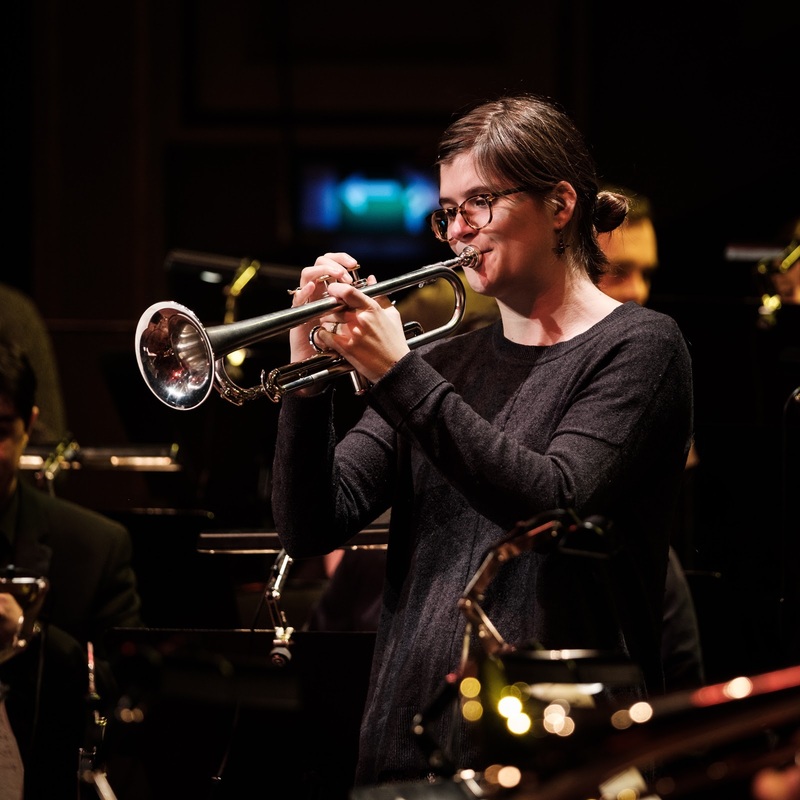 Jump into Spring with the Scottish National Jazz Orchestra and their special guests Laura Jurd, Irini Arabatzi and Brian Kellock for a celebration of jazz genius. Together they will explore a rarely performed work by master composer, the late Kenny Wheeler, and the repertoire of pianist, composer and arranger Mary Lou Williams. Kenny Wheeler was a Canadian-born jazz trumpet player who became a stalwart of British modern jazz and who participated in many adventurous configurations as a leader, composer and sideman. He is especially remembered for his long association with Sir John Dankworth, and for a string of successful solo albums for ECM, which featured collaborations with Keith Jarrett, Mike Brecker and Jan Garbarek. He was also noted for iconoclastic projects such as the Spontaneous Music Ensemble, and the exploratory Azimuth with John Taylor and Norma Winstone and was still making wonderful music in his final years. His last album, Songs for Quintet was recorded in 2013 for ECM at the Abbey Road studios in London. trumpet and vocal that also features SNJO improvisers stepping out from the orchestra to take the spotlight. 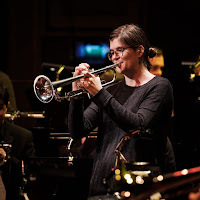 Laura Jurd (Photo copyright Derek Clarke) is an award-winning trumpeter who has made a significant impact on UK jazz with her band Dinosaur, and her outstanding work with the Ligeti Quartet. She’s also written commissioned music for BBC Concert Orchestra, the Northern Sinfonia and BBC Radio 3. Irina Arabatzi is an insightful and empathetic jazz singer who is becoming firmly established in the UK as a versatile and compassionate new voice. They take centre stage in these performances of ‘Sweet Sister Suite’, one of Kenny Wheeler’s most evocative, detailed, and rarely played essays in modern jazz. Mary Lou Williams was an in-demand composer, arranger and teacher who worked closely with many of the great names of jazz including Thelonius Monk, Duke Ellington, Benny Goodman and Dizzy Gillespie. She was both popular and respected throughout her career, and her music was infused with sharp intellect, exceptional invention and deep spirituality. Williams’ music was at various times ambitious and visionary, but throughout a long career, she firmly maintained her lifelong commitment to “Jazz for the Soul”. Brian Kellock is familiar to jazz audiences as a gentle, genial figure whose playing is full of heart and loaded with unspoken emotion. He joins the SNJO to perform some of Mary Lou Williams’ most resounding tunes including, A Mellow Bit Of Rhythm, What's Your Story, Morning Glory? and Jump Caprice. These wonderful tunes round off performances that open a new three-year cycle of concerts from the SNJO, and they signal very bright prospects for the future of jazz in Scotland. All concerts start at 19.30pm.